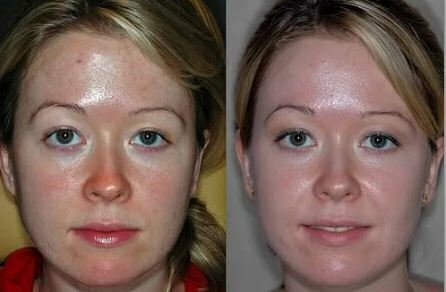 Face bleach, body bleach, face bleaching cream and ski bleaching surgery are all products and processes aimed at getting a brighter skin tone. How do you go about these? Which factors should one consider and which are the best? This is information worth considering before settling down to skin bleaching. A blemish free and evenly toned face is something most people especially women yearn for. This could be attributed to the face that it is how we perceive beauty. With time though, acne spots, age spots, scars, freckles and sun damage may affect our skin. Left without intervention, the blemishes will remain permanent. However, these can be made to go away using face bleach. There are two forms of face bleach. Powdered bleach is used by mixing it with some recommended chemicals. It is best used to bleach specific areas. It is therefore best used on skin issues such as freckles and dark spots. This treatment ought to be applied only on the dark part to lighten it up to the level of the rest of the skin. These come with manufacturer instructions and could be used together with hydrogen peroxide. The other form of face bleach is cream bleach. There are many brands to go for with this and are available in drugstores as well as in online stores. These are most appropriate for general skin brightening on less defined areas. Other than these manufactured face bleaching products, there also are home-made facial bleaches. These mostly make use of natural products that contain bleaching agents. They are safe and effective but take more time to yield the desired skin color tone. People with sensitive skin will find them most appropriate. While using skin bleach on any part of the body, it is advisable not to use it for too long. Once the results are met, usage should be stopped and only limited to maintenance application as may be directed in manufacturer instructions. Prolonged usage of face bleach can affect your skin negatively and should be avoided. Face bleaching cream is the most used skin lightening product. Most of them contain chemicals that help to reduce the production of melanin. To use bleaching cream for face, ensure that you clean it up thoroughly to minimize the chances of the ingredients in the cream interacting with residual on your skin. In case you are using a new product, conduct a patch test fast to see if any reactions will occur. Follow instructions after that and use the product as directed by the manufacturer. 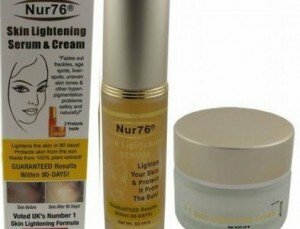 The best bleaching cream for face given online ratings is Illuminatural 6i. 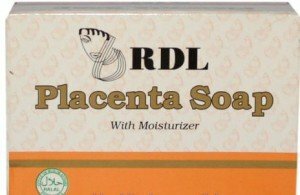 This product helps to get rid of most skin problems found on the face. These include sun spots, acne marks, freckles and even scars. Most users were satisfied with its results. It is possible to make face bleach using ingredients found at home. There are many recipes that are easy to follow and which one can make use of to save on the cost of purchasing face bleach. An example would be one made from fullers earth, ammonia and hydrogen peroxide. Add two teaspoons of fullers earth in a mixing bowl. Add four drops of ammonia. Before applying this bleach, perform a patch test. Use it if there is no negative interaction after 24 hours. If you are wondering whether there are naturally occurring products that can be used to bleach the face, lemon juice is one. This contains citric acid and vitamin C which make it an effective bleaching agent. It can be applied on the face to minimize discoloration and brighten up complexion. Simply extract fresh juice from a lemon and use a cotton ball to dab it on the face. Avoid using it on open sores. Leave it on for ten minutes and use a moisturizer after treatment. A body bleach serves to lighten skin in every part of the body. This can be achieved through a number of ways. To start with, one could make use of homemade natural bleaches to lighten up the skin. These are cheap and readily available. They however take more time for results to be seen. Patience and consistency are therefore vital. For those who do not have the luxury of time to make body bleach, topical products could be the way to go. Bleaching body lotions are most appropriate as opposed to bleaching creams. Lotions tend to spread easily and can be used on large skin areas. 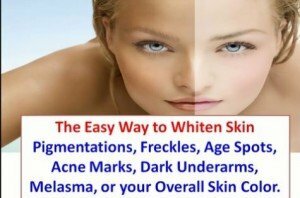 Where the purpose for bleaching is not to get rid of specific skin blemishes but to brighten up the skin, it is best to undergo a full body skin bleaching. This will avoid situations where parts of the body are lighter skinned that the others. There are many products that can help achieve this. These include the use of over the counter topical application products as well as natural skin bleaching remedies. Another way through which could be achieved is to have it professionally done. This will ensure that the whole body gets an even skin tone. This way, you avoid being limited in what you wear and looking weird when your face is five shades lighter than skin on the rest of your body. Skin bleaching surgery is available for people who are willing to go all the way. This process works faster that products meant for use at home. It also yields better and long lasting results. The process is however pricey and one would be required to part with a huge amount of money. Surgery for skin bleaching involves tissue restructuring. This can only be done by an experienced medical professional. After the process is done, one is expected to practice after care for the process to yield the best results. Ensure that what the doctor instructs is followed to the root. Due to the sensitivity of the procedure, always conduct research before settling for a surgeon to undertake the process. This will ensure you make use of the best and attain the best results. Bleaching the skin for black women requires careful consideration of the products. If you are a black woman and want to use a bleaching cream for this purpose, take time to research on which one will work for you as well as find out if it can get your skin tone to the shade you want.